In almost all heating installations, the draught created in the chimney is greater than that required by the boiler. The draught can vary from 0 up to 100 PA during the heating season. The variations depend on differences in temperature as well as wind conditions. The consequences of an unstable draught are lower efficiency, incomplete combustion and breakdowns. A stable draught is important irrespective of whether you use oil, gas or other solid fuels. The draught stabiliser keeps the draught constant during the entire heating season and thereby secures an optimal combustion. The draught stabiliser is also very important in ventilating condensate in the chimney. When burning wood the draught stabiliser lowers the temperature in the chimney, minimising the risk of soot fire. The height and area of the chimney, the output of the boiler and the type of fuel used will determine the size of the draught stabiliser. 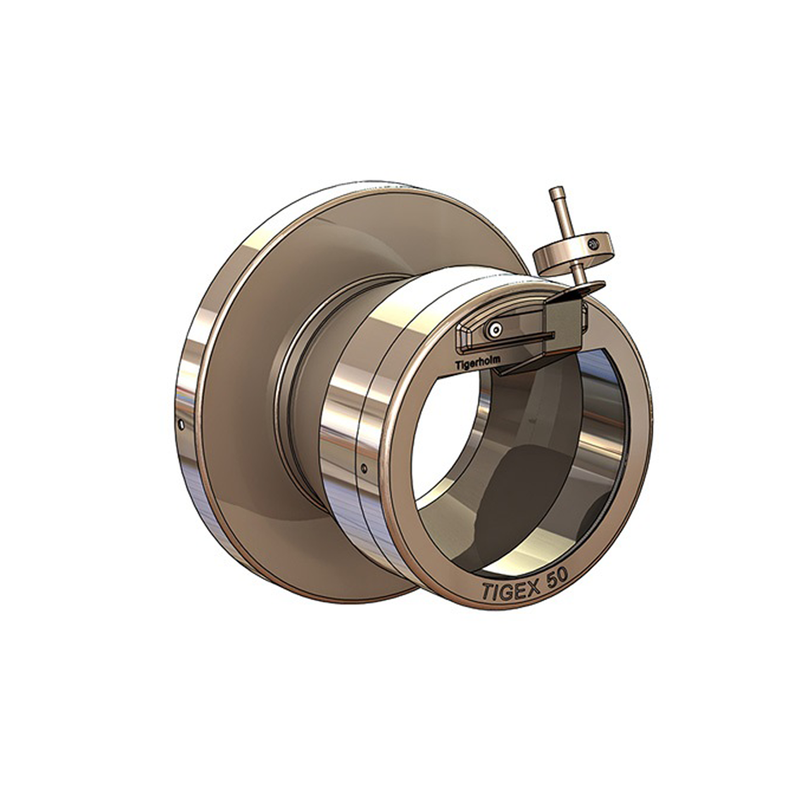 Tigex draught stabilisers, developed and patented by SPX Tigerholm. 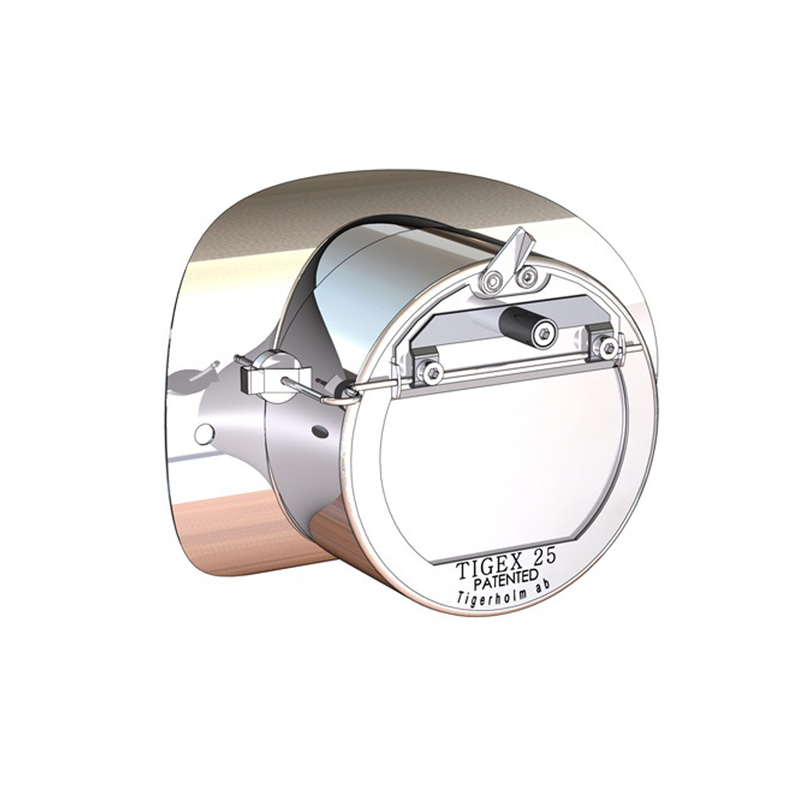 They are manufactured in stainless steel and is the markets only draught stabiliser with a fuller balanced damper. In practical terms, this means it can be fitted in almost any position (angled, vertical or horizontal). Since its market introduction in Sweden in 1994, Tigex continues to be the first choice among the HVAC installers and boiler manufacturers of the private house segment. Atkinson Equipment Ltd are the Official UK Distributors of this product.